In most industries, the release of a new product is met with considerable fanfare. In the communications realm, for example, corporations shout from the rooftops about a new device or feature. Typically, a next-generation product is rolled out every six months or so with indifference, even disdain, towards those who have purchased an earlier version. A Canadian with a chemistry degree from the University of Waterloo, Smith has spent the last two decades at Valvoline and was chairman of the ASTM Passenger Car Engine Oil (PCEO) Classification Panel from 2005 to 2017. The ASTM PCEO Classification Panel is responsible for developing test methods relating to passenger car motor oils, with the primary responsibility of determining whether an engine test is ready to go to precision matrix, and subsequently determining its suitability as an ASTM procedure. Smith’s comments come at a time when he has just relinquished chairmanship of the PCEO Classification Panel to GM’s Angela Willis, and the industry is on the verge of launching a new category — ILSAC GF-6. The timing of his decision to vacate is perhaps unfortunate, “I would have preferred to get it all put to bed before stepping down,” he confirms; though, there is no denying his valuable contribution to advancing our industry during 12 years in the role. We worry about backwards compatibility. We don’t want to charge a higher price. Our goal, it seems, when we bring out a new classification is to try to make sure the customer can grab the same bottle he always has without noticing it has changed, says Smith. We keep the name and the label as close as we can to what it was before. I guess we don’t want to confuse our consumers, he suggests. Are we losing value in our products because of this? It may be time for a bolder approach. Perhaps we don’t want to invest heavily in explaining the intricacies of a new category? Yes, we spend a little bit of money publicising a new category of oil for new engines. But does the marketing spend justify the time and technological investment in our products? We only do it every five or so years after all (or even less frequently with ILSAC GF-6). Manufacturers are developing advanced products for engines that need to be protected with advanced oil technologies. If consumers don’t use these products — how much is it costing our industry? Smith believes the lubricant companies are performing admirably on the technical side. The reality though is it is difficult to separate the technical and the marketing. Our challenge is converting “technical speak” into “marketing speak” and developing marketing claims that are more meaningful, he says. Valvoline’s investment in the “technical” is impressive. A Kentucky- based engine laboratory houses engine test stands for every ILSAC GF-5 test and is in the process of transitioning from ILSAC GF-5 to GF-6. This dedicated resource provides a critical opportunity to get closer to the consumer, as well as greater control over formulation and timing. “We get a lot of value out of it,” says Smith, citing it as an advantage over Valvoline’s competitors. Smith enjoys discussing Valvoline’s technical expertise, though the lubricant technologist concedes Valvoline’s strength is in marketing. So, is marketing motor oils going to get any easier for global companies such as Valvoline? With increasing complexity of industry specifications, marked contrasts between the European Automobile Manufacturers (ACEA) and the American Petroleum Institute (API), and the impediment of individual OEM specifications — it appears unlikely. “It is a concern that the industry has. We would rather see things more in line,” he confirms. However, in some ways, technical requirements are converging globally. In Europe, a shift to lower, high temperature, high shear viscosities, means, theoretically, we are getting closer to a point where we could have a single oil that meets North American and European needs. Though, Smith concedes right now this is “pretty hard” to do, as the chemistries make it difficult to meet the fuel economy requirements of the United States. Valvoline markets distinctly different products in Europe as a result. However, Smith believes Europe will continue to move more towards the viscometrics of North America. Diesel is bigger in Europe than in North America. Though its historical fondness for diesel is waning, a transition towards gasoline and electric vehicles is transpiring due to emissions issues with diesel. However, under ACEA, standalone gasoline oil is no longer permitted, oils must meet both gasoline and diesel requirements. This places further challenges on formulation, says Smith. In the North American market, diesel penetration is lower, thus it is unwise to incur added costs meeting diesel requirements with gasoline engine oils. As companies are becoming more global, marketing is becoming more global. Valvoline is very large in North America and working hard to grow its international business. In Asia, the company has a joint venture with Cummins Engine in China and India to facilitate growth in the region, taking advantage of Cummins’ established distribution network. Valvoline manages the lubricant business, of which they are equal partners. The company also recently announced that it is building its first, and its largest in the entire world, lube blending plant in China. 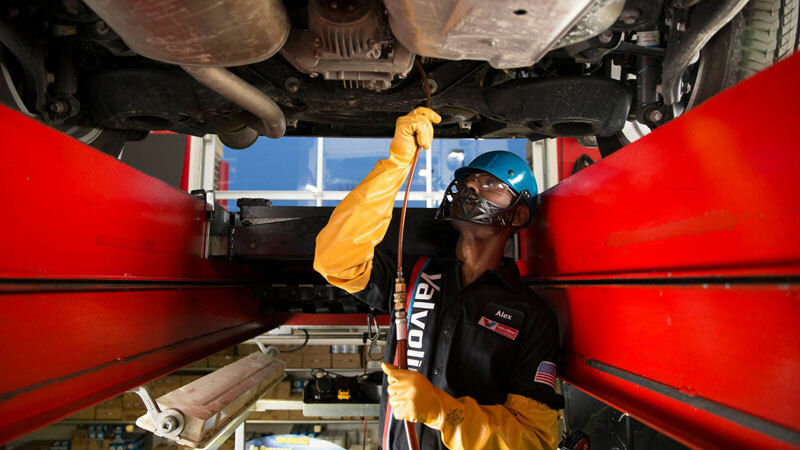 In North America, light-duty is the company’s largest market, outside of North America Valvoline is more balanced between light- and heavy-duty.